The year's biggest Broadway musical gets the a cappella treatment in this colossal medley orchestrated by none other than Peter Hollens. 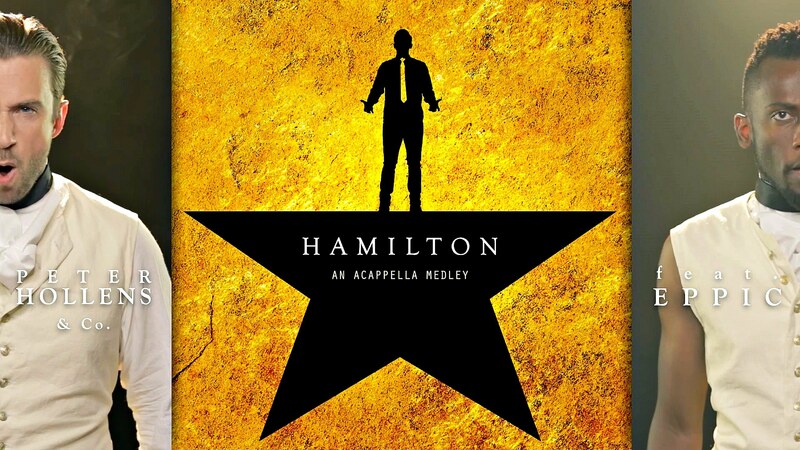 The hip-hop heavy, historical retelling musical of the life of Alexander Hamilton has produced some pretty awesome aca-covers. Now, Peter Hollens, along with his wife Evynne Hollens, the rapper Eppic, and college groups the Dartmouth Aires and University of Oregon's Divisi has provided a monstrous medley of some of the show's biggest numbers. With no surprise, the video is going viral with more than 100K views in less than 24 hours. Check out it below.